Founding partners Michael Ilyas and Mark Bachayani joined forces and skill sets to create a booming startup in the Fintech industry, www.buyanyinsurance.com – where insurance seekers in Dubai can find cheap car insurance and health insurance etc.Mark has over a decade of experience in the insurance industry and identified that there was a missing product/service in the UAE and he joined forces with Michael, who has been the CEO of Cactimedia, one of UAE’s leading digital agencies. With Michael’s design experience and Mark’s insurance background, they have the perfect chemistry and knowledge to create an offering to the consumer, but how do they create a positive ecosystem in the office? How do they motivate a team in a startup environment? It all begins with values, and both Mark and Michael have the same values and have ensured that these are also instilled in the employees that they choose. The values are honesty, passion, respect. Michael and Mark are honest, open and transparent with the team and in turn, this is translated to the customers and part of the product offering. Passion is something that each member of the team must have in their core. Passion for the role that they are doing, passionate and determined to achieve the goals of the company, passionate about achieving their own goals and passionate about the customer and their needs. Finally, respect. Working in a startup can be challenging, however, treating all your teammates and customers with respect is fundamental. Michael and Mark are both equally involved in the hiring process. It is very important that they feel that the “chemistry” with the potential candidate is a good fit with the team, even if that means meeting the potential candidate several times. They both look for the relevant experience, attitude, and values and of course chemistry with them and the team. Working for a startup anywhere in the world is fun, hard work, long hours and at times challenging and both Michael and Mark believe that having visible goals, progress towards these goals, and clear communication and a flat structure are key to keeping the team informed and to an extent motivating the team to achieve their goals. However, setting smaller goals and rewards like team nights out bowling, birthday lunches, weekly team meetings, and awards for MVP of the month keep the team motivated and excited. Management style, they believe dictates the overall energy of the office. However, as all employees have been chosen and work with the values in mind, it’s not so much a management style, but to lead by example. Work hard and work smart and to ensure that everyone is treated the same. To have an open door policy and to encourage ideas and feedback to help management and the company grow. Working for a startup, requires a lot of self-motivation and hard work and at times the concept of time disappears. To ensure the team have a healthy work life balance, we ensure that there is enough fruit and healthy snacks for the team as well as starting a 10,000 steps a day challenge. Michael and Mark have a team of 11 working at BuyAnyInsurance.com and are growing. They continue to involve the team in product development, changes in the team and asking for improvements. 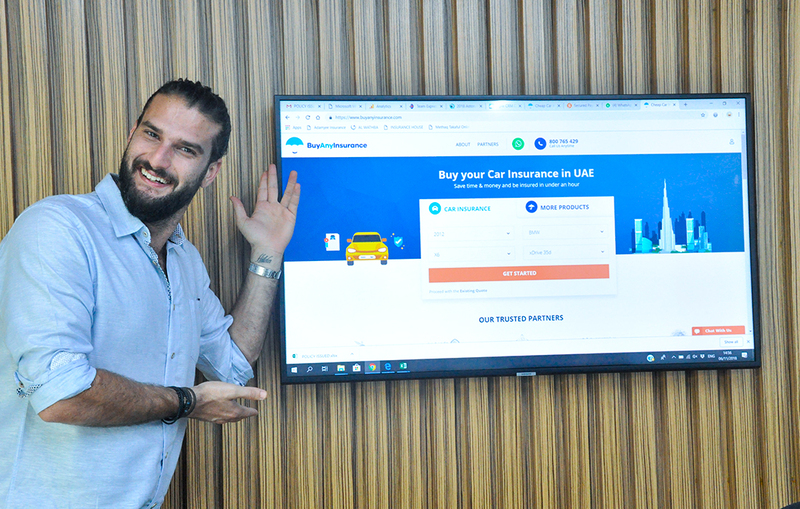 As they both say, it’s the BuyAnyInsurance.com family and when all the team members feel like a family, they behave like that – it is a positive work ecosystem and one that can grow.